Circus City has some real treats in store for families this mid-term, perfect for fun-filled Autumnal days off school. Around is a fun, tender show about the life of a circus troupe as they overcome hardship through collaboration and cooperation. A drum machine roars, buckets are banged and the vivid sound of an acoustic guitar joins the buzzing of a baritone ukulele in an ‘80s inspired soundtrack created specially for performance. 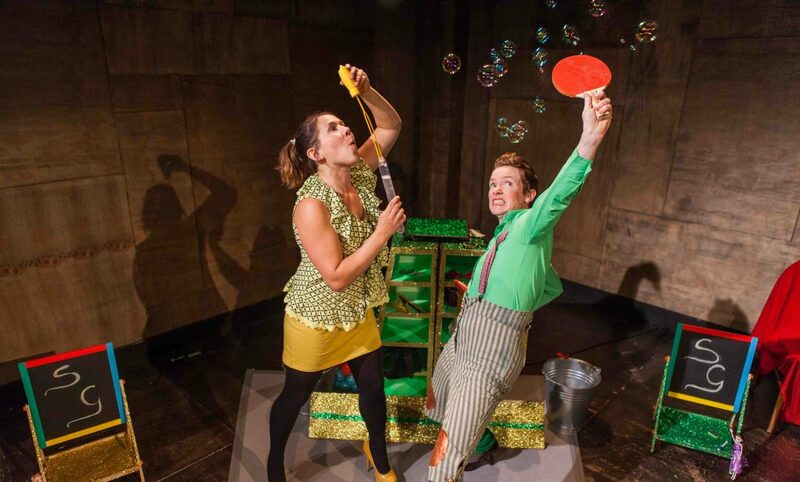 Featuring a monkey suit and a massive banana, this playful performance mixes circus skills old and new: juggling, acrobatics, hula hooping, mime, clownery, blowing bubbles and breakdancing! 11:00 and 14:00 (25-28 Oct). Relaxed performance: 14:00 (26 Oct). Tickets £9/£32 (family deal)/ Children under 2 go free! 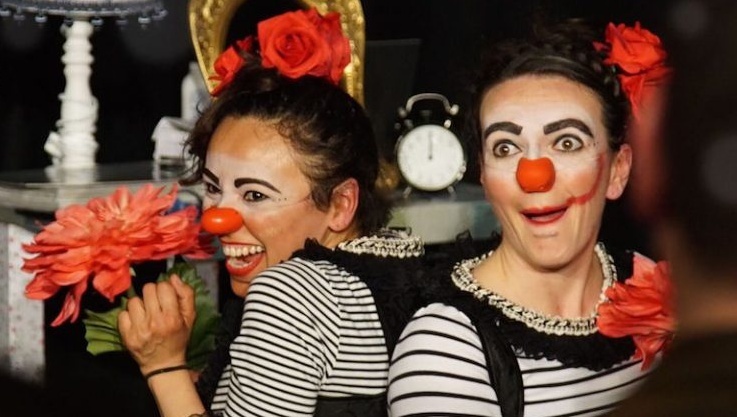 Wardrobe Theatre regulars, Squeezy Green and Finney Haddock present this unique two-show special of circus themed games, so come test your skills, take a chance and enjoy being ridiculous. The hosts will take you through a series of games and challenges. Play from the safety of your seat or take the opportunity to go head to head against another challenger. Squeezy has run plenty of game shows before but now they are throwing circus skills into the mix, so prepare for the unexpected! 15:00 on 22 and 29 Oct. Tickets £8/£6/Children under 3 go free! 17:30 (27 Oct) and 13:00 (28 Oct). Suggested donation £8. Under 12s go free! Suitable for complete beginners, Swing Circus will have you jiving and jitterbugging in no time. Featuring a jam-packed programme of workshops, cabaret shows, circus performances and evening dances, you can learn from the best in the business including choreographers from BBC’s Strictly Come Dancing. Tickets: (click for link)The Trinity Centre. Friday, October 20th to Sunday, October 22nd. Tickets from £13. What does success means, how it is measured? How does it drive us and what lengths will we go to in order to appear successful? 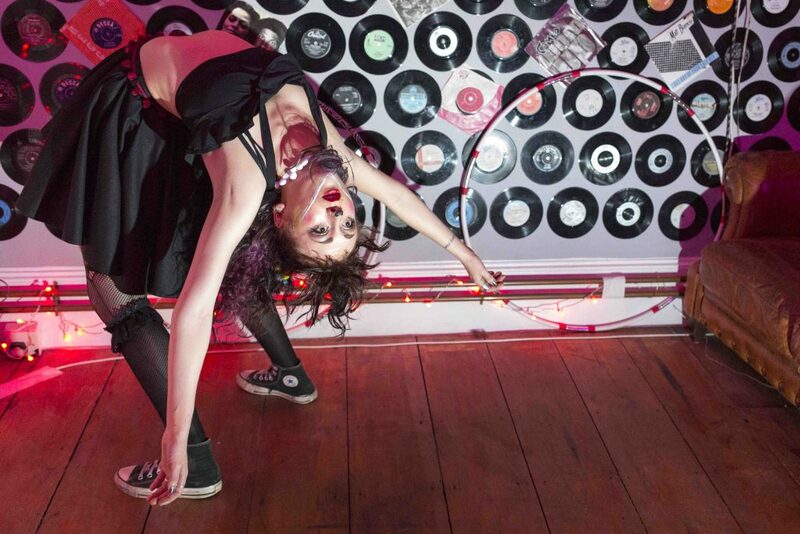 Dance, music, circus and text combine in this show to break down personal and social standards. Questioning the stories we tell about achievement and expressing the resulting notions of jealousy, pride and notoriety whilst highlighting just how absurd they really are. 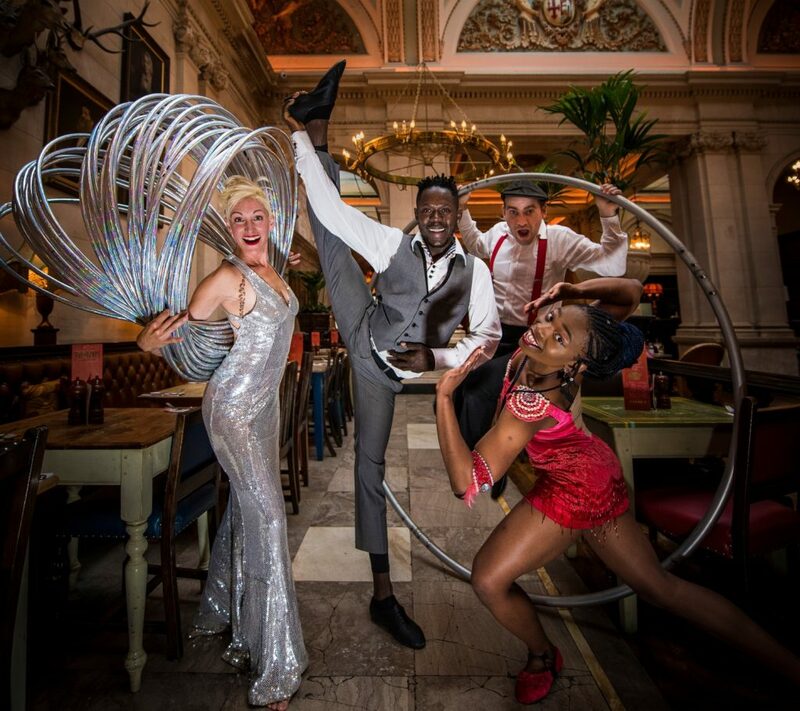 Enter the velvet world of cabaret in 1920s Vienna for an evening of poetic jazz and aerial performance infused with the smoky tones of French chansons and old school rock ‘n roll. 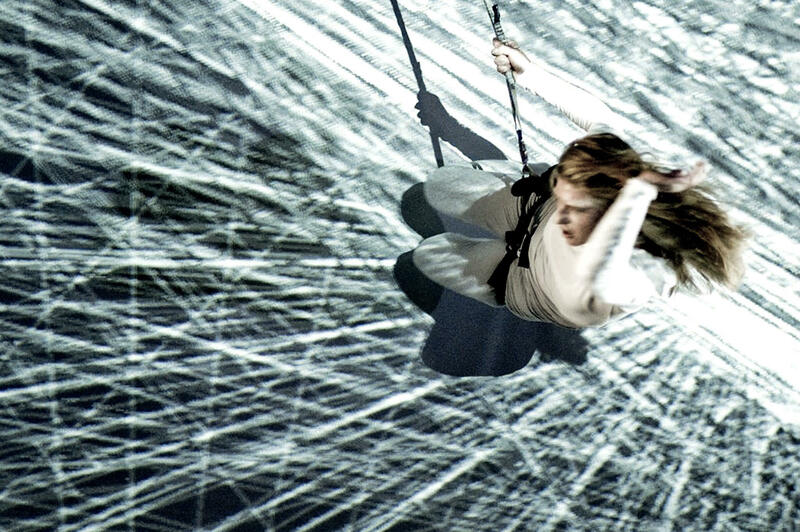 Finnish aerialist Ilona Janti and singer-songwriter Aino Venna surround the audience with a mixture of sultry songs and sophisticated choreography that will linger in your memories for months to come. Tickets: (click for link) Circomedia. Thursday, October 19th to Sunday, October 21st. Tickets from £13. Risking it – with Circus City and Groupe Bekkrell. 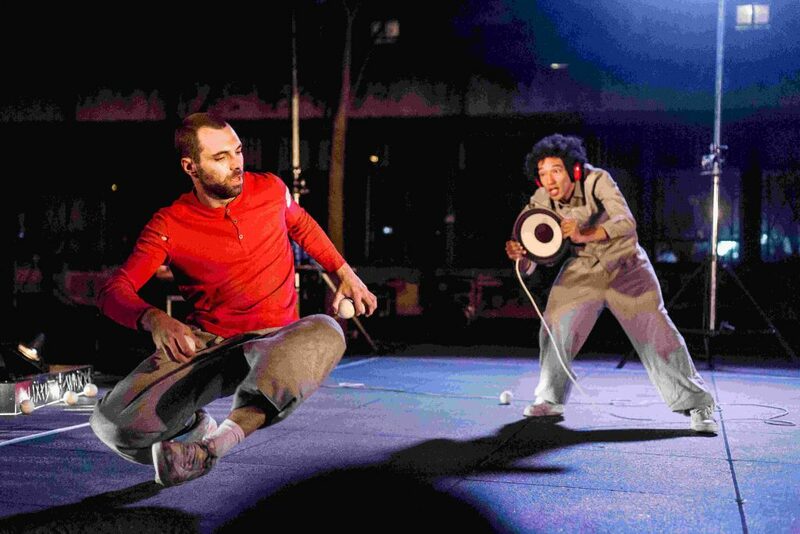 Following the cancellation of The Bekkrell Effect, Circus City and Bristol Old Vic invite the audience to a panel discussion including artists from Groupe Bekkrell and Circus City Co-Director Lina B. Frank. The panel will discuss elements of risk in circus performance. How is circus different from other artforms in terms of risk? What does a cancellation such as this mean for the artists, festival and theatre? How does the circus sector work to minimise risks of injury and cancellation? Tickets: (click for link) Wednesday, October 18th 19:30. Bristol Old Vic. This event is free but tickets must be reserved via Bristol Old Vic box office. Excitement at Circus City HQ has reached fever pitch as we prepared to launch the festival. For three weeks, we will put Bristol firmly on the map as an international capital of contemporary circus with a jam packed programme of over 60 events. Tickets are already selling out so don’t delay if you have your eye on one of the shows below! Coming to Circomedia on October 15 and 16, As a Tiger in the Jungle tells the remarakable story of Nepalese performers Renu and Aman who were trafficked into Indian circus when they were children. Using spoken word, movement and ceremony, Renu and Aman tell their incredible story of resilience, hope and optimism. Don’t miss this very special show. The Trinity Centre. Friday, October 20th to Sunday, October 22nd. Tickets from £13. Circomedia. Thursday, October 19th to Sunday, October 21st. Tickets from £13. This half-term, we have a real treat in store for kids as the renowned Racehorse Company brings the world of the travelling circus to Circomedia. Featuring a drum machine, an ’80s inspired soundtrack, a monkey suit and a massive banana (!) this performance combines circus skills old and new – juggling, acrobatics, hula-hooping, clownery, bubbles and breakdancing! Circomedia. Wednesday, October 25th to Saturday, October 28th. Tickets from £9. The UK’s premier aerial theatre company bring their Edinburgh Festival award-winning show to the 1532 Theatre at Bristol Grammar School. Transforming seemingly simple metal poles into a rich landscape of images, five performers build a world before your eyes, as the action veers from catastrophe to mastery. 1532 Theatre. Friday, October 27th to Saturday, October 28th. Tickets from £12. The walls of the iconic Tobacco Factory will be transformed into an immersive, multi-dimensional spectacle on Sunday, October 22nd as part of Circus City. Substratum is a special new show which combines acrobatic dance for vertical surfaces with projection mapped visuals. Tickets for this unique outdoor event are free and available HERE (limited to two per person). Supported by Circus City and Arts Council England, Substratum is a collaboration between Full Tilt Aerial Theatre and creative technologists Limbic Cinema, performed by an international cast and produced by Rowan Fae, with an original composition by Ahmet Kenan Bilgic and Serkan Emre Ciftci. Performers will move between worlds walking, leaping and flying off the walls, while the surface of the building is transformed between element states: earth, water, light, and air. Hypnotic and arresting by turns, this is a performance that explores boundaries; between bodies and bricks, between gravity and technology, between certainty and impossibility. Telling the poignant and powerful story of Nepalese child trafficking survivors, As a Tiger in the Jungle comes to Circomedia on October 15th and 16th as part of Circus City. Performers Renu Ghalan and Aman Tamang left their homes in Nepal with dreams of stardom and the promise of limitless opportunity. What followed was a life of slavery, exploitation and abuse in Indian circuses that became their prisons. As a Tiger in the Jungle is Renu and Aman’s tale of remarkable resilience, hope and optimism. Recounting the story of their lost childhoods, Renu and Aman – who are joined by Vietnamese artist Loan Tp Hoang – use the tiger as a metaphor for their traffickers. 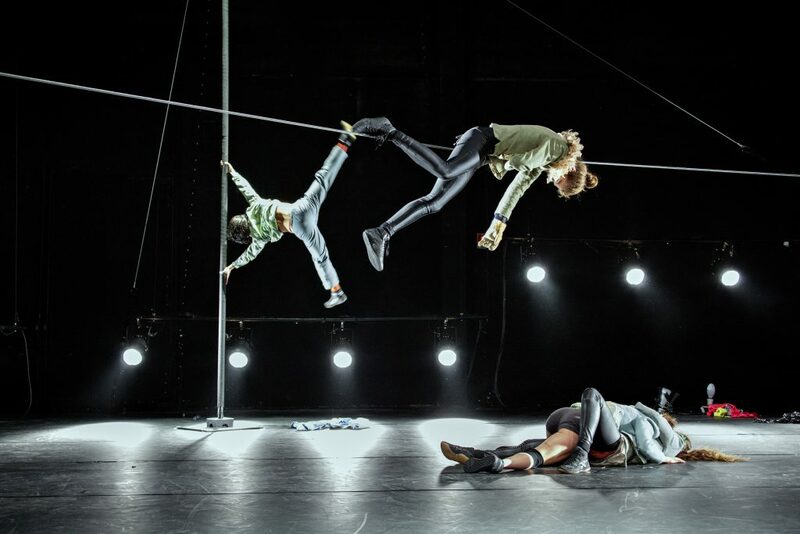 The show is the result of a collaboration between director Sverre Waage, Cirkus Xanti (Norway) and Ali Williams, formerly artistic director of the Welsh circus company NoFit State. In 2013, Ali spent a year working as creative director of Circus Kathmandu – a contemporary circus group made up of 13 young men and women, including Renu and Aman, who were all child trafficking survivors. As they turned their lives around, Ali was inspired by the young people’s resilience and enthusiasm and their ability to utilise and adapt their hard-won performing skills to make an artistic and social impact. As a Tiger in the Jungle is a unique fusion of Asian and European performance, circus and music, set to an original score by Per Zanussi. “We are pleased to have created a meaningful and engaging performance based on true stories from the performers’ lives,” said Ali Williams. 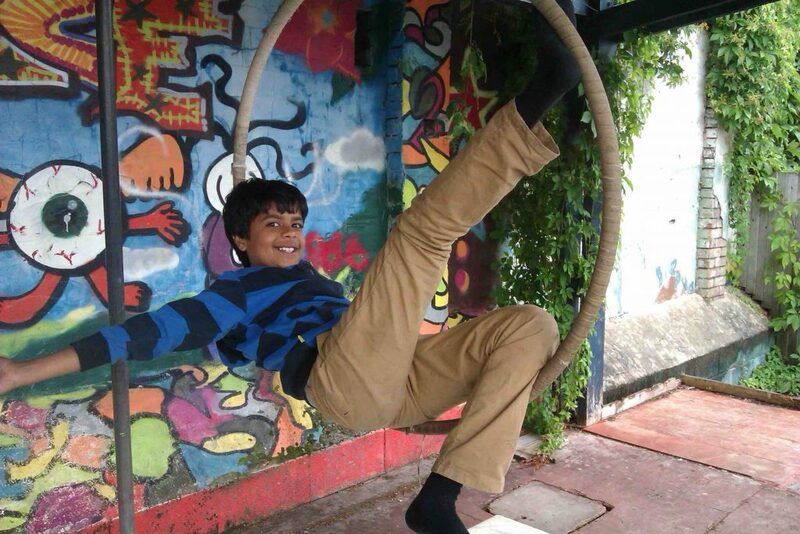 “I was inspired by the young artists from Circus Kathmandu and am delighted to be able to employ Aman and Renu in a professional capacity and utilise the skills they learnt in captivity in a positive and empowering way. This gives the performance an authenticity rarely seen on stage today”. BIG THANKS TO DASH – DIGITAL CASH! We’re delighted to announce that Circus City has become the first major arts event to be sponsored by a cryptocurrency. Circus City was awarded a sponsorship package after being selected from a shortlist of projects by members of the Dash- Digital Cash community. Dash is an open source peer-to-peer cryptocurrency that can be used to make instant, private payments online or in-store using a secure, open-source platform hosted by thousands of users around the world. Dash users voted to allocate the sponsorship in a democratic funding process that is built into the Dash network. “The sponsorship means that Circus City will reach more people than ever before, bringing the excitement of a new and much needed technology into the heart of the festival,” said Edward. “Just as email has changed the way we send letters so Dash will change the way we send and spend money. During the festival you will be able to find out more about Dash first-hand from our dedicated Dash Manager Ed Rapley and his team. They will be at the hub 10:00 – 18:00 every day apart from Sundays and will help you install your first wallet, buy some Dash at a discount, register on an exchange, use Dash to purchase tickets, drinks and merchandise. If you have any questions at all about Dash or cryptocurrency in general they will be there to help. When it came to announcing our 2017 programme, we wanted an image that epitomized Bristol and its connection to contemporary circus. With a full-size trampoline in tow – and kind permission from the lovely folk at the Peoples Republic of Stokes Croft – we chose the Bearpit as our backdrop. As performer Nat Wittingham trampolined high above the city centre hubbub, Joe Clarke captured a set of images that are unequivocally Bristol. With thanks to PRSC, Nat Wittingham, Joe Clarke, Howie at Circomedia, Axis Trampolining and LOOT vintage clothing.